Henrietta Lacks’ contributions to medical research are amazing but were unknown to her when she died in Johns Hopkins Hospital in 1951. Taken without her permission, her cancer cells or HeLa cells have growth in lab settings better than any cell lines and are central to many medical breakthroughs while her family is uninsured. 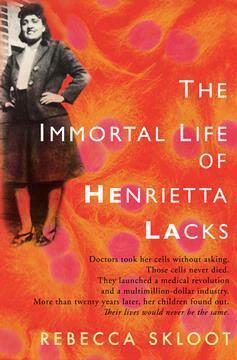 “The Immortal Life of Henrietta Lacks” is part Black history book, part biology book and part spiritual book. Rebecca Skloot wrote a fine novel and I hope that money from the movie rights will fund Lacks’ grandchildren’s education. Henrietta gave in life and continues giving to this day. Can you imagine a biology student working with living cells that belong to his grandmother.